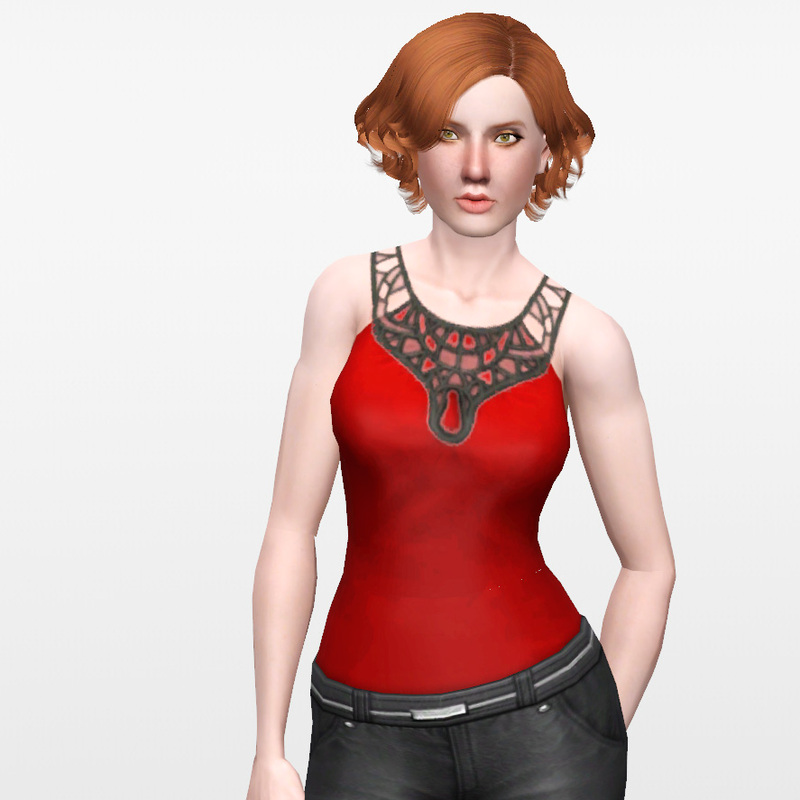 I loved this top in TS4, and thought it would be really nice with TS3's powerful and versatile CAST system, so you could change the lace and shirt colours separately. Actually making it work like that, with all the lace cutouts and transparencies was trickier than I anticipated, but I got it working fairly well, though not quite perfectly. Two recolourable areas: The lace and the main shirt. Formal and everyday, tucks into bottoms so it shouldn't be midriffy except with all but the lowest cut bottoms. This is a recolour of a base game mesh, so no EPs or SPs or anything required. Thanks to Delphy for CTU, Peter and Inge for S3PE, and the tool creators of the TS4 texture export bits. 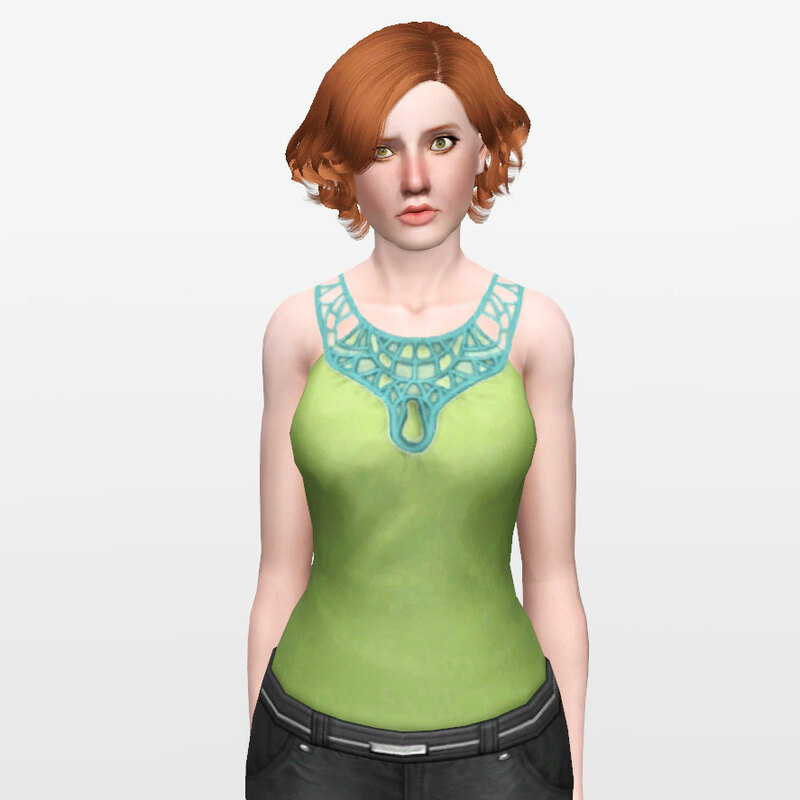 Also thanks to EA, for making lovely textures for me to snaffle bits of and convert to games I actually want to play.